One of the many unfinished projects I had laying in my craft area going into 2018. I'm excited to say that I've finally finished this one! 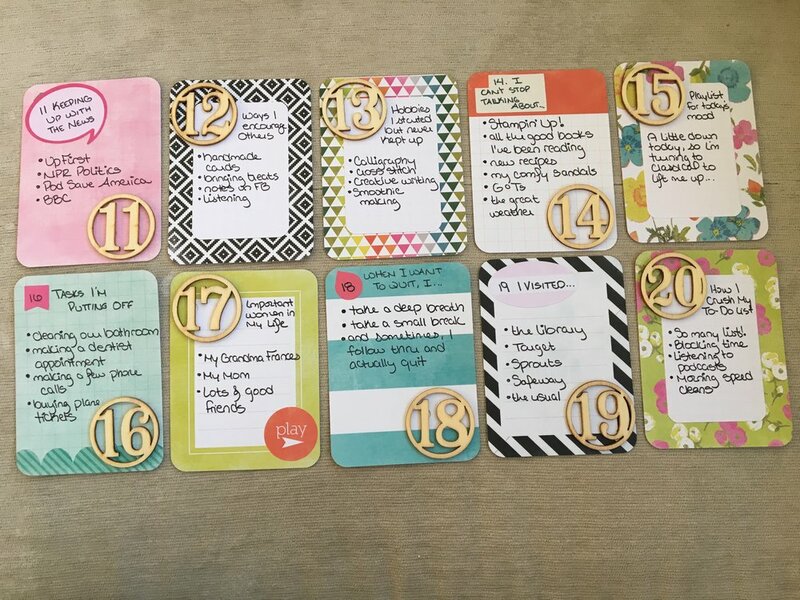 The cards will be going into the 2017 Family Project Life album (unfinished). 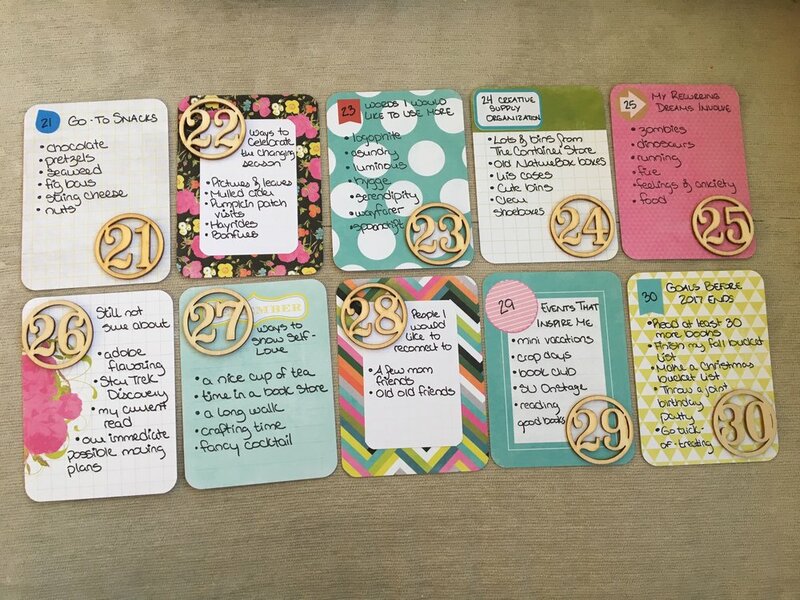 I used cards from the Heidi Swapp Favorite Things Core Kit. The numbers were from an old Freckled Fawn grab bag I had gotten. And the stickers were taken from leftover planner kits.